Anyway, I digress. 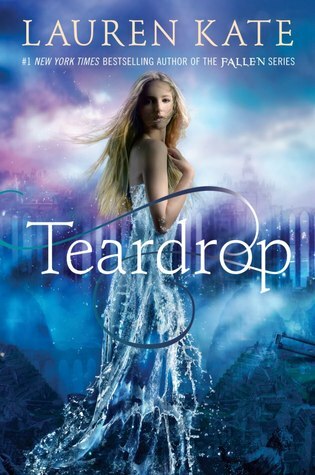 the real problem I had with Teardrop is the same problem I have with Kate's other series (you know the one). I couldn't stand all the males in this book! I thought they were just horrid and I want to round them all up and ship them far far away from the heroine! Seriously- they are down right stalker scary- and this is supposed to be attractive? I mean, I can't tell you how angry I was at this book and that it at times felt like an absolute REPEAT of Kate's previous series. I am not ok with that. The heroine herself- well, I really wanted to like her- I did. She was going through some pretty horrible stuff and had a pretty rough life. (But inevitably my thought return to how much all the boys made me angry and how is that acceptable- GAH!) I am hoping this is one of those stories where the main character will evolve and become someone much stronger throughout the course of the series. The mythology really seemed to take a backseat to the fellas. I felt like there was more boy drama than mythology drama- it didn't really seem to take a front seat until the very end of the book. (And this was not a novella!) At times I wondered if the plot was ever going to progress. And then the epilogue. Lauren Kate is devious. And now I will have to read book 2. I just hope I don't mangle the next book the way I did this one in a fit of anger, ha ha. (I kid... kinda). All in all, other than the guys, I did enjoy this book. It moved a little slowly, but Kate is an extremely talented writer- she knows how to write stories well. I just wish she could write about nicer guys. Here's to book two! I feel the same way about Lauren Kate. She could just try a bit harder in terms of character development and her books would be great. Loved your review!